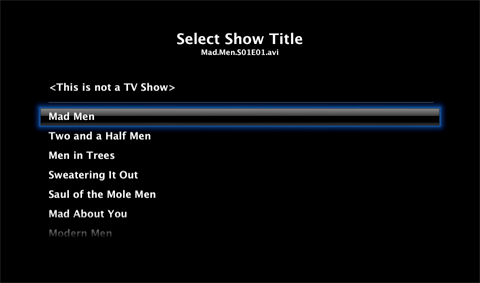 The TV Show chooser has been updated – no more waiting for text to scroll! Browse your movie collection in it’s entirety. They are all here in one spot! Select which collections to display on the main menu. Turn them all off if you like and use the Virtual Directories for a concise clean look. Browse your movie collection by IMDB’s Top 250 rank. See how well your tastes stack up to the world! Use the All Importer to run all three (File Data, TV Show Data, Movie Data) importers at once. This is ideal when you have added new files to your collection. Welcome to the updated main menu for Sapphire Browser. Browse your collection through the new TV Shows and Movies virtual directories, or use the traditional path directories. We have added the All Data importer to the main menu for faster access. 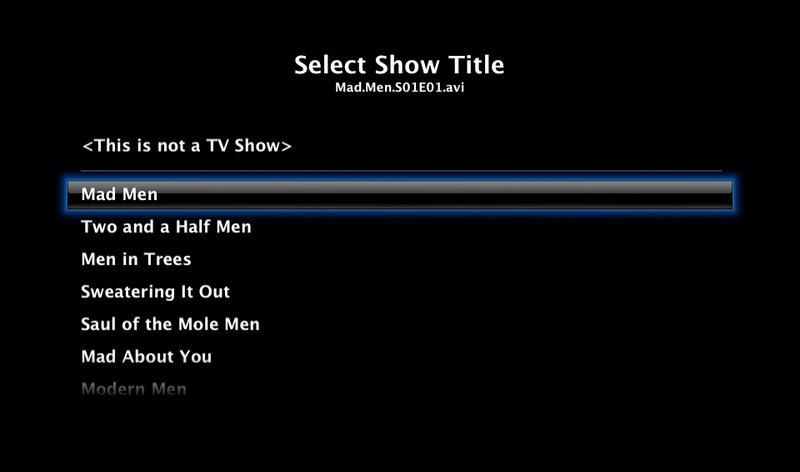 Title selection made easy. Sapphire filters out irrelevant results leaving the best results often having the correct selection on top. Sapphire’s Virtual Movie Directory Organizes your collection by several categories like genre, cast, and director. You can also see which movies in your collection have won an Oscar or are listed on IMDB’s Top250. See which movies in your collection have won one or more Academy Awards. The Sapphire Movie importer allows you to choose which movie poster you like best. You won’t have to settle for anything less unless you aren’t running ATV 1.1 or Front Row – then you have to settle for what Sapphire chooses.